Hurry, Only 4 Left ! Vases come in several designs, but the ones with narrow neck or mouth enthral us the most as they add the facets of luxury and fine taste as well. This narrow mouth mosaic is likely to take the decoration of your home to the whole new level with its beautiful and elegant design. The silver texture of the vase makes it all the more appealing to the eyes and helps it fly well with any sort of surroundings. Keep the vase in your bedroom and adore it with some lilies and orchards and heighten the love in your life. 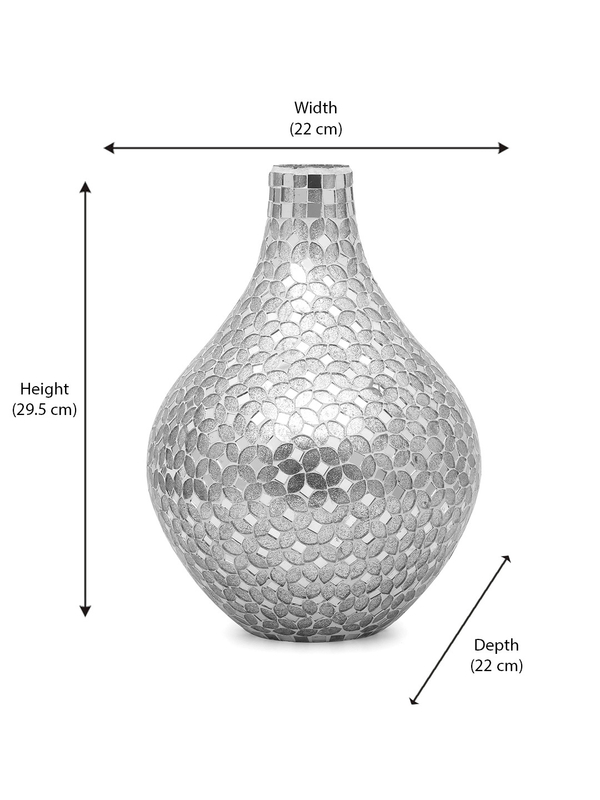 To weave some more pleasant and unforgettable moments, buy this silver vase from @Home.